Development Land 6 Acres C. 6 acres for sale in 1 or more lots. Enjoying excellent road frontage, the said lands have potential for 1-3 residential sites (subject to planning permission). Map for identification purposes only. Pubs & Restaurants 2077 m² To LET - In 1, 2 or 3 Lots. Extending to c. 22,357 sq.ft. over three floors. 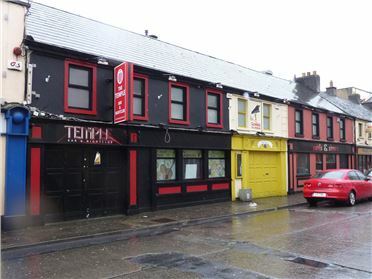 This modern licenced property enjoys a prime position in Carlow’s main commercial and social thoroughfare. 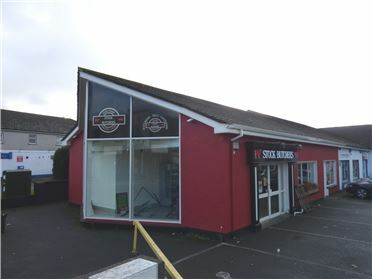 With bar, restaurant and nightclub licence, smoking area. Adjacent to multi storey car park. Viewing strictly by appointment. Further details on request. 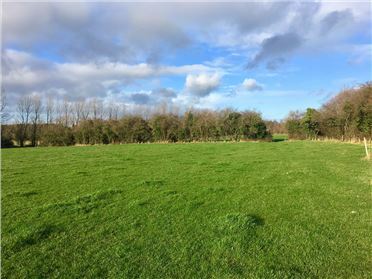 Farm Land 29.85 Acres C. 29.849 acre (c. 12.08 Ha) non-residential holding contained in folio KE2052, in permanent pasture and laid out in 4 divisions. The lands are well sheltered with mains water and are also serviced by the 'Pinkeen' river. Situated convenient to Newbridge town, approximately c. 2km off the Naas Road near Baroda Stud. Newbridge is a thriving town situated just off the M7 and serviced by excellent road and rail infrastructure. Dublin being c. 45km, Naas c. 12km and Kildare c. 10km. 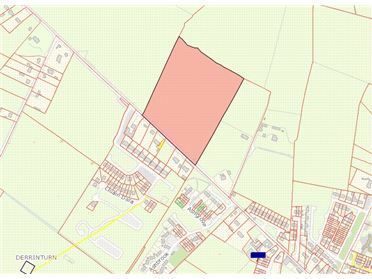 Development Land 5.66 Hectares C. 14 acres (c. 5.66 ha) contained in folio KE12136 with extensive road frontage, located in the village of Derrinturn close to National school and residential areas. Situated c. 10 miles from Prosperous. With part of the lands zoned Industrial the said lands offer potential for development subject to necessary planning. 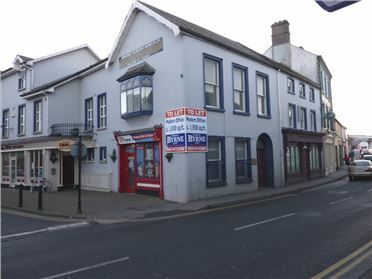 Retail Units 120 m² Ground floor retail unit to let extending to c. 120m2 (c. 1290 sq.ft.) with large display windows. 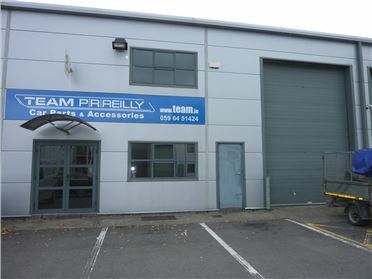 The property is part of a small business park located on the outskirts of Carlow town in a busy residential area with a number of commercial businesses in the immediate locality including supermarkets, hairdresser, computer repairs and petrol station. 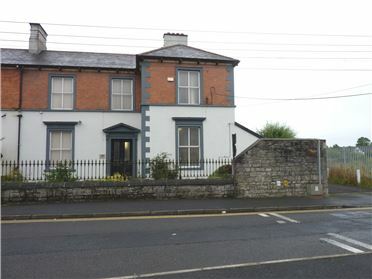 Carlow credit union is located closeby as well as schools, church and offices. 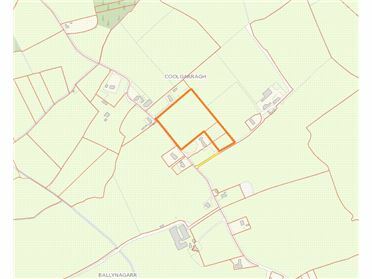 Farm Land 8.85 Acres C. 8.85 Acre non residential holding with good road frontage, located close to church and local amenities. The lands offer potential for residential development subject to planning permission. Industrial Units 2680 ft² Modern Unit extending to c. 2680 sq.ft with double door entrance and roller shutter door to front and fire exit to rear. 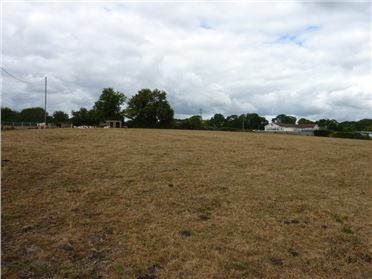 The property comprises open work space with painted floor, temporary office and w.c.
Development Land 1.8 Acres C. 1.8 acre potential residential development lands with excellent road frontage, situated adjacent to sports field and small housing development. 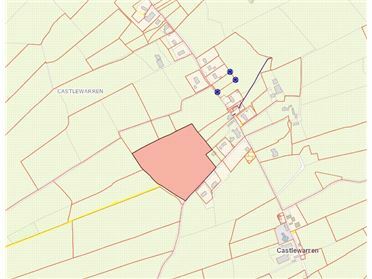 Located close to the village of Killeshin and c. 3 miles to Carlow town. Office 179.3 m² C. 1930 sq.ft of modern offices, ready to go, all mains services. Excellent central location close to all town centre amenities. Viewing Strictly by appointment only.